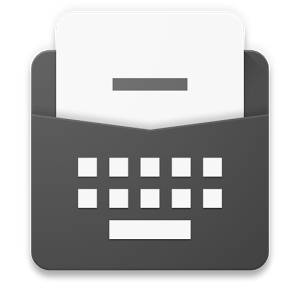 Underwood Apps, developer of the widely-praised Today Calendar, has a new entry on the Play Store. You probably won't be interested if you're looking for another replacement to a core Google app, but writers, developers, and editors would do well to check it out. Say hello to Monospace, a super-simple text editor that's making its Play Store debut in beta form. It's a free download for Android 4.0.3 or later. 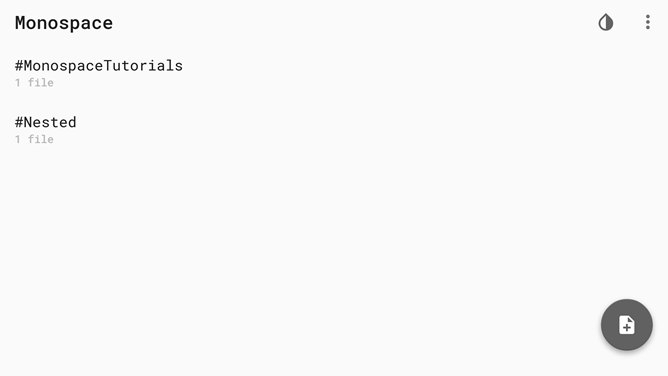 Monospace is another entry in the minimal group of text editors - it doesn't support any of the more complex formatting you might be familiar with from a word processor, like templates or spell checking. It's intended to be a distraction-free way to focus solely on the text. The app does support bold, italics, bullets, and quotes, making it easier to export text into CMS and similar programs. Text can be viewed as white-on-black or black-on-white. The interesting bit of Monospace is its folder system, or rather, lack thereof. 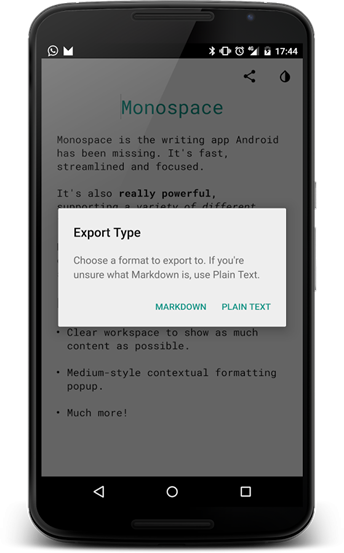 Add a hashtag (like #chapter1) to any text file and the interface will automatically sort the relevant files together on the app's home screen. It also includes cross-device syncing with Dropbox - very handy if you're working on items on your phone or tablet and desktop computer at the same time. 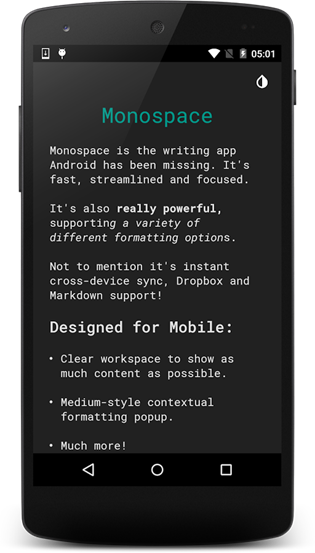 Since the app is in beta, expect a few improvements (and maybe some new features) in updates to Monospace.